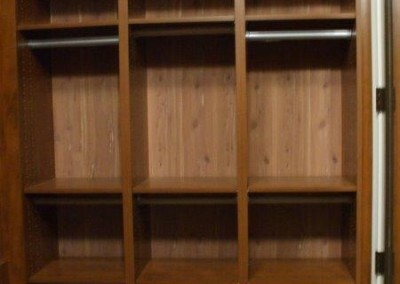 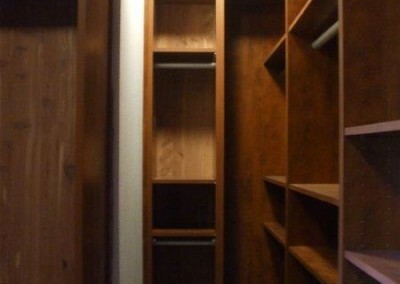 Doesn’t everyone wish they had more closet storage? 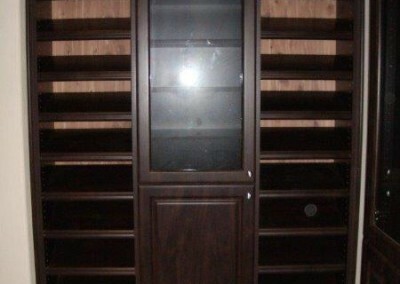 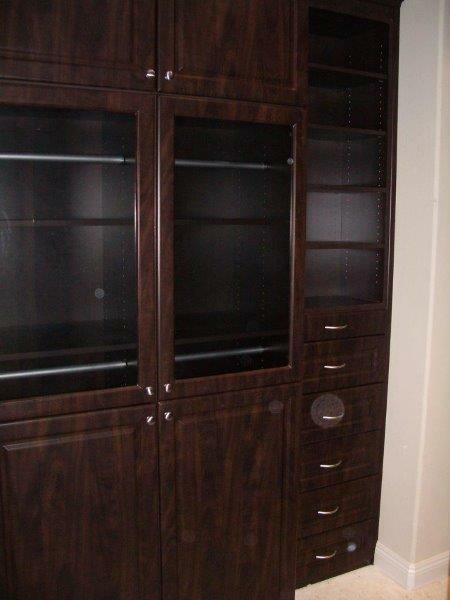 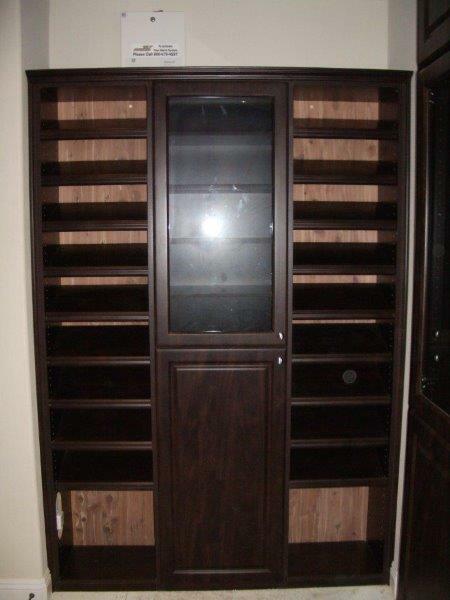 You’ll be the envy of your friends when they see your new custom closet organizer. 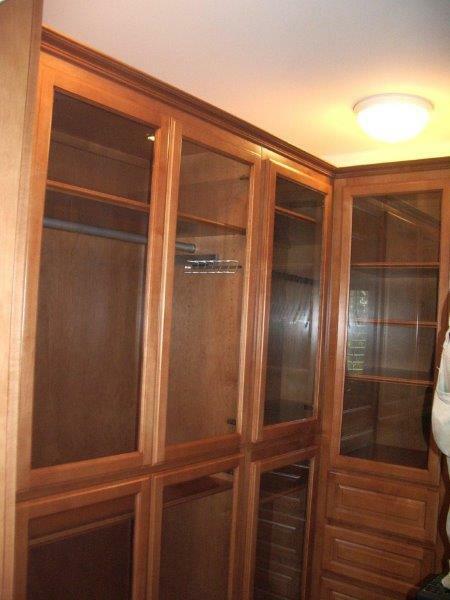 We have lots of great closet design ideas. 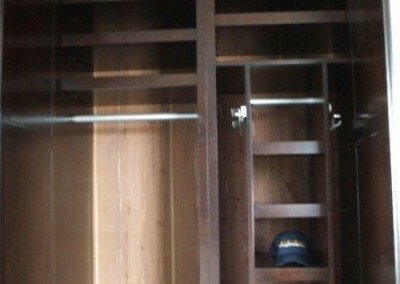 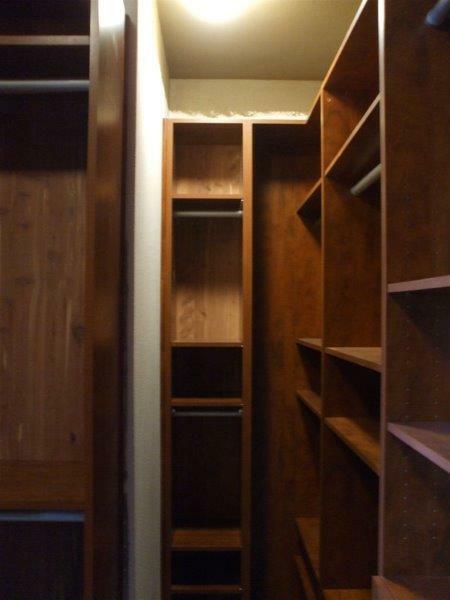 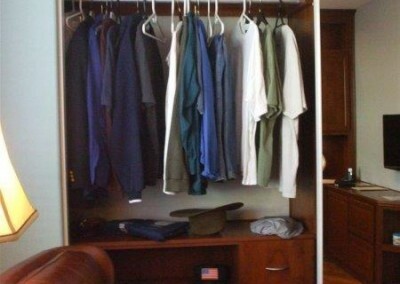 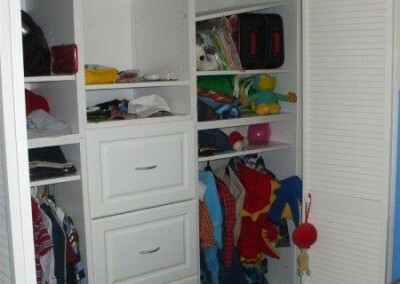 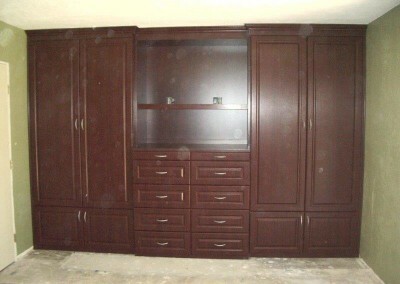 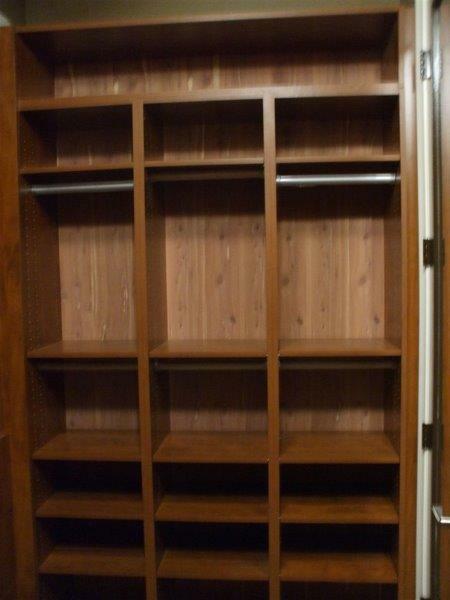 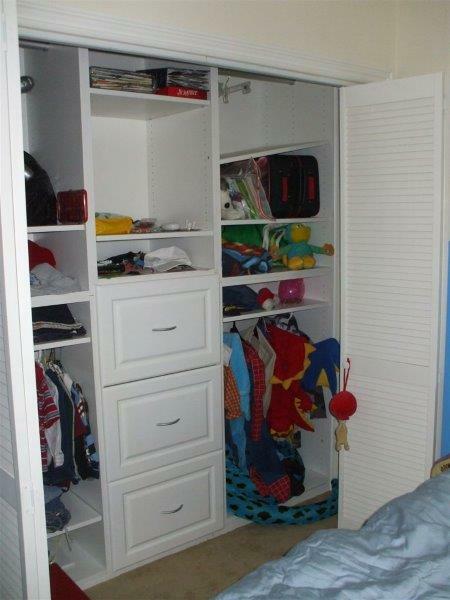 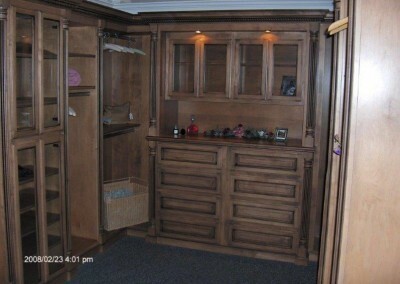 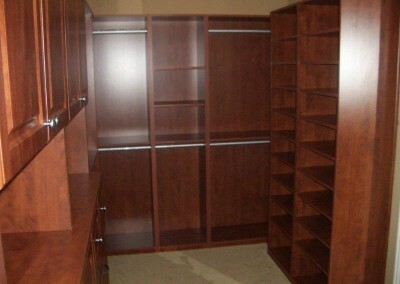 A custom closet organizer will optimize the storage in any walk-in or reach-in closet. 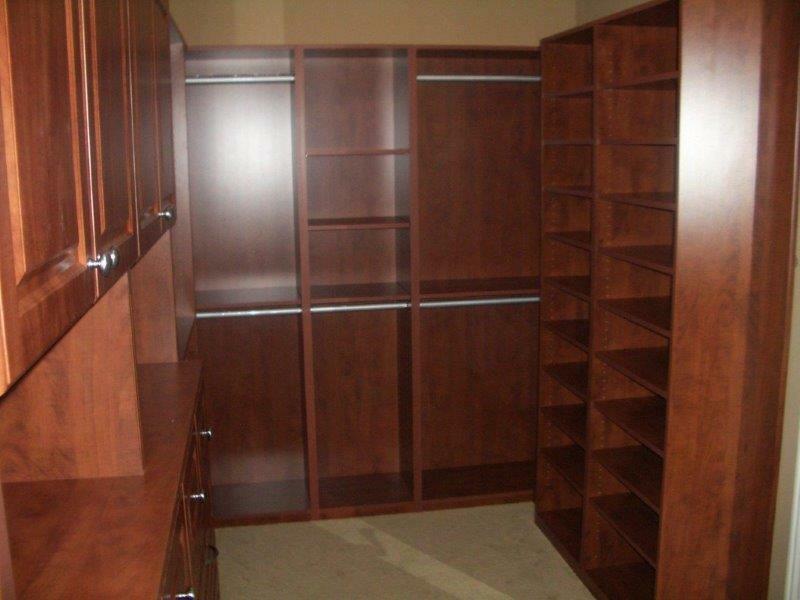 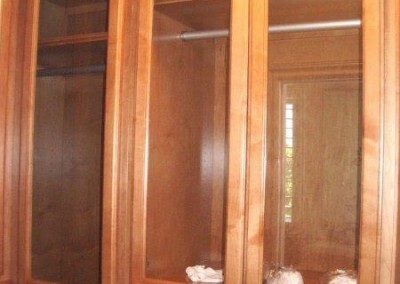 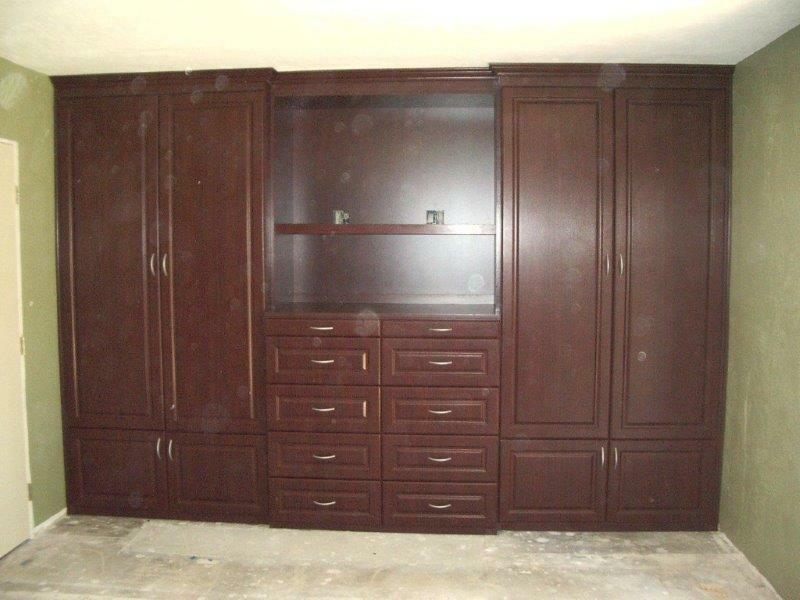 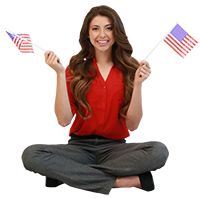 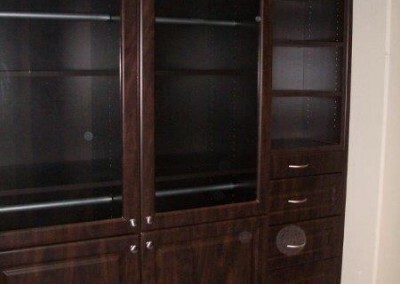 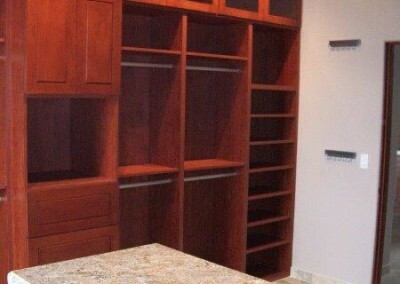 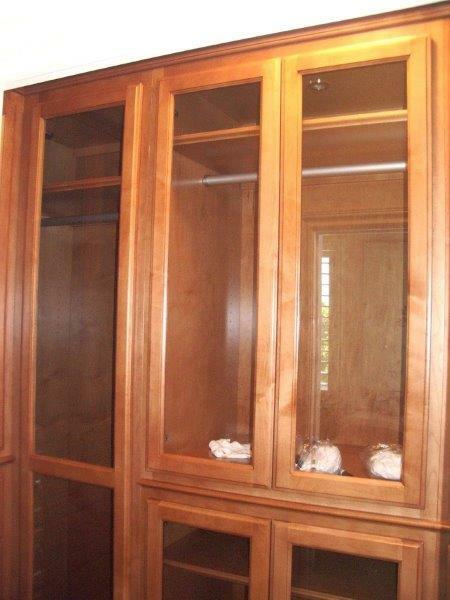 Whether you’re sharing a closet or have the luxury of your own closet a Woodwork Creations custom closet design will help you find a way to keep your entire wardrobe neat, organized and efficient. 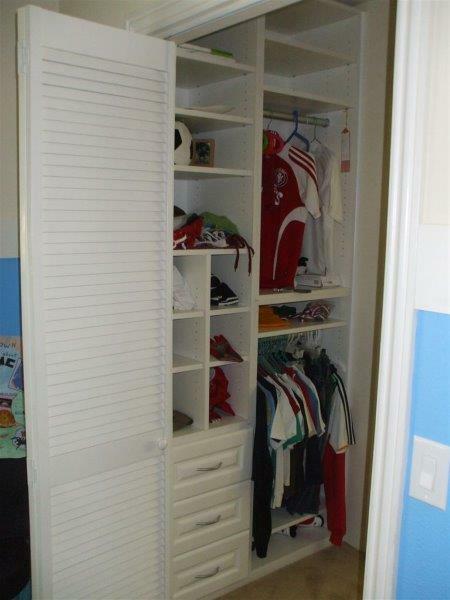 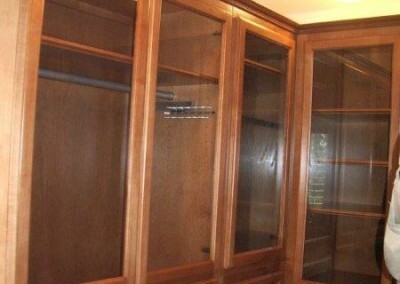 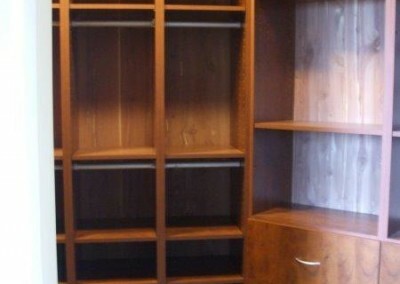 Your custom closet organizer can more than double your existing closet storage. 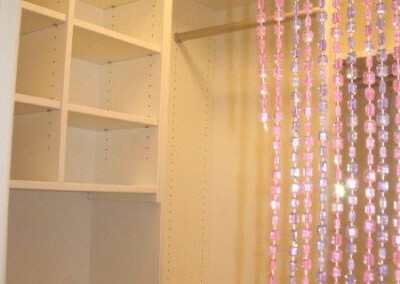 Is your current closet single hang? 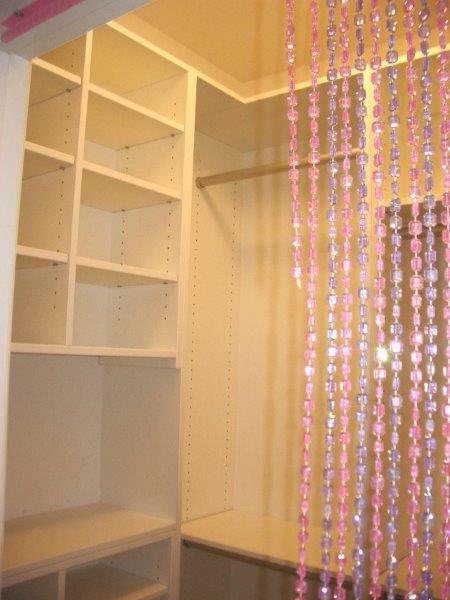 Take advantage of your ceiling height and add double hang storage. 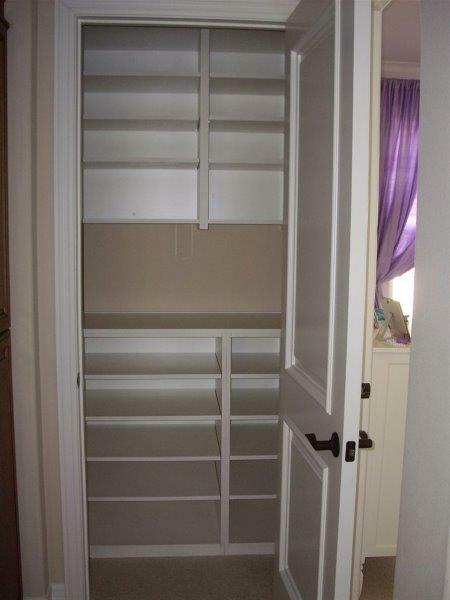 Add doors and drawers to your closet organizer to protect and separate your favorite wardrobe pieces. 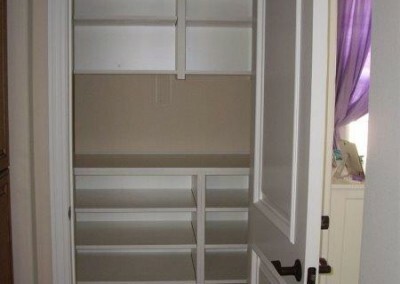 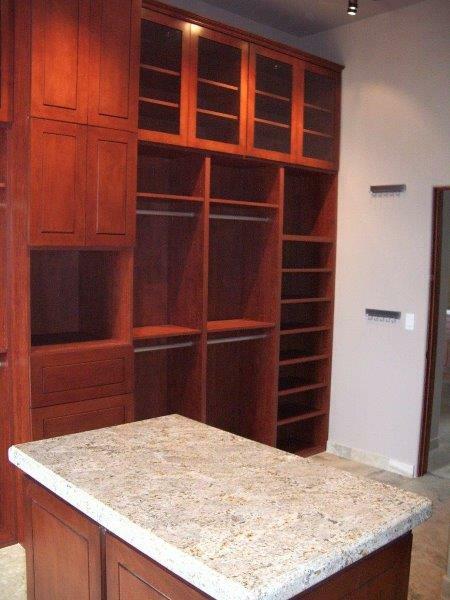 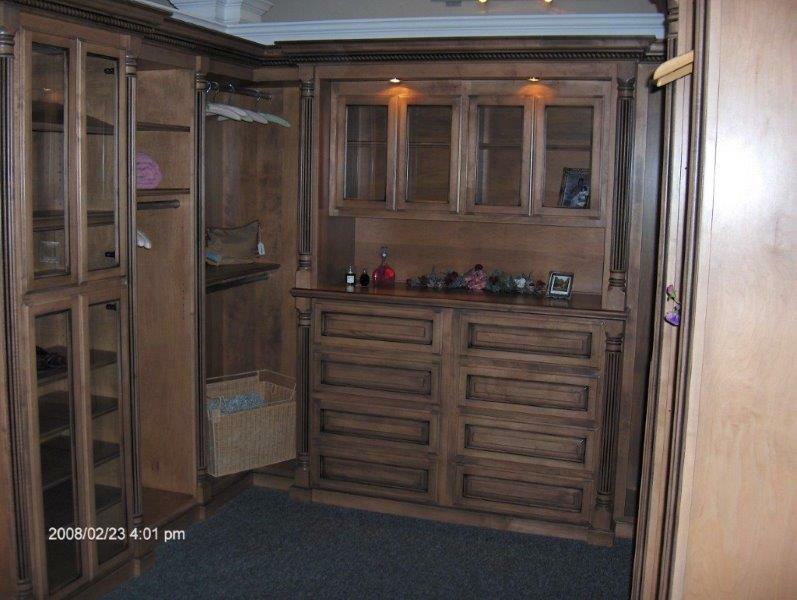 If your walk-in closet storage has floor space why not add an island or dressing table. 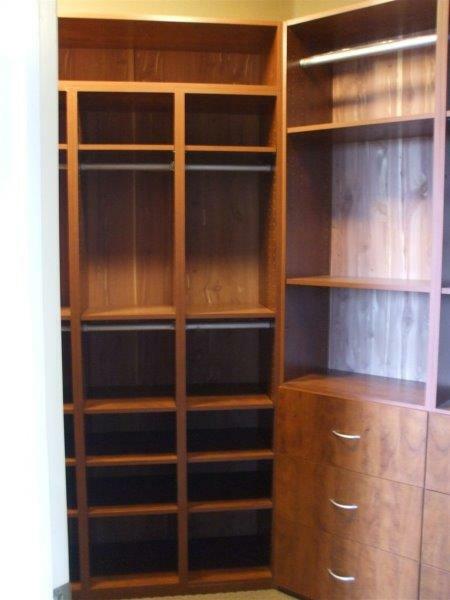 The ultimate in closet storage! 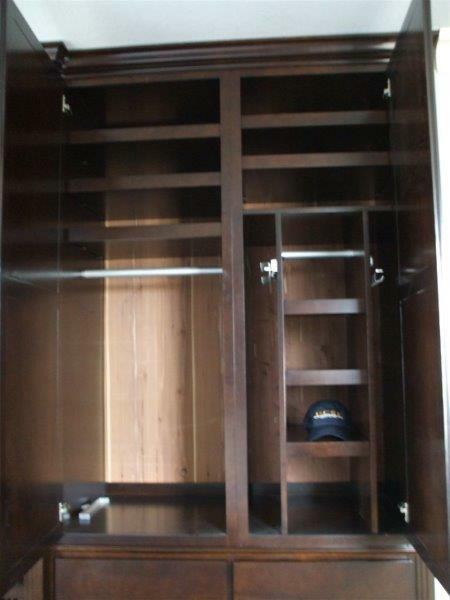 Custom jewelry drawers are very popular and keep your bling organized and accessible. 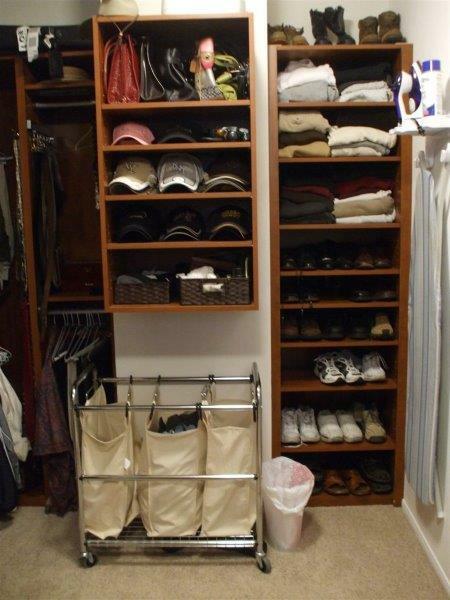 Closet storage to organize your shoes, handbags, ties, slacks, laundry and just about everything else in your wardrobe is available. 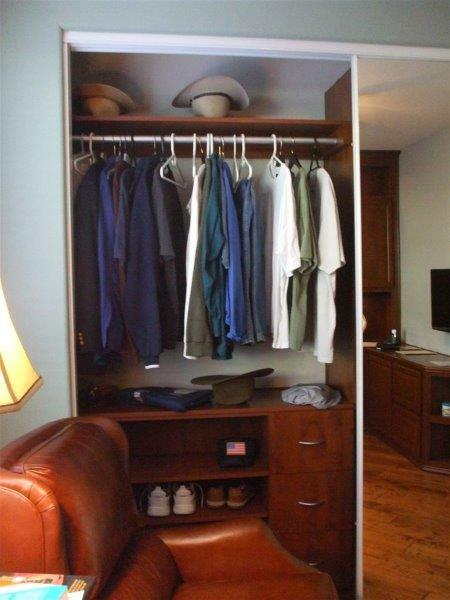 We help you design a closet that fits your current and future wardrobe needs.